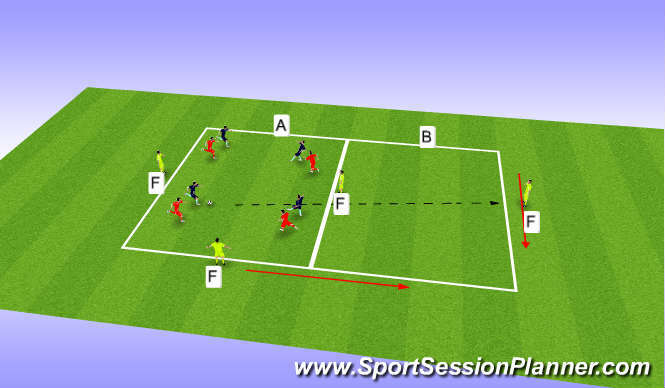 zone A is the the red zone, the red team have to keep the ball in this zone and use the F players to make a 7 v 4.
zone B is the black zone when the blacks win the ball back they have to transfer the ball to the far F and everybody moves into that box. the blacks now play 7 v 4.
reds try and keep the ball in their zone, stop the transter pass, reaction to losing the ball. progress to blacks only transter if the 1st pass is a quaity pass, game related.